Fans of Donna Leon and Andrea Camilleri, mystery lovers, Francophiles, and foodies will adore this who-done-it with a beautiful European setting. In her riveting follow-up to Death at the Chateau Bremont and Murder in the Rue Dumas, M.L. 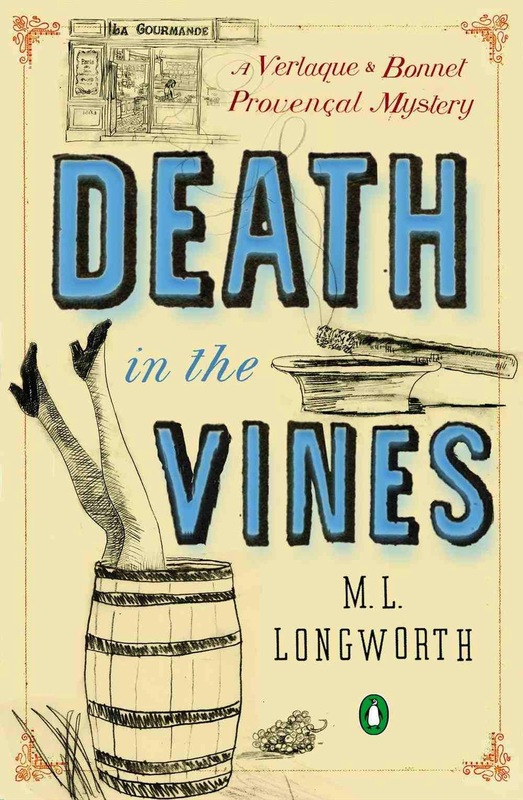 Longworth evokes the sights and sounds of late-summer Provence, where the mistral blows and death comes in the most unexpected places. So I read Death at the Chateau Bremont a while ago and while I didn't necessarily care for the book, I decided to give this series another shot with this installment. Once again, I wasn't overly impressed, but it was just an okay read. Nothing really makes me connect with these characters, and while it could be the fact that they're French and I don't really know a lot about the culture, I just have a hard time getting into this series. There are a lot of French words in this book and I really couldn't figure out the English translation. Sometimes, the characters got on my nerves and the supposed "mystery" really wasn't even all that engaging. I will say that I am proud of myself for sticking it out and finishing this book. While it wasn't terrible, it just wasn't something that made me sit back and say "wow" when it was over. I can see that this book might appeal to people who understand the French culture and understand about vineyards and the delicacy that is wine-making. For me I could care less how much wine is made as long as it tastes good. I think that this book might also appeal for people who like mysteries that aren't cozies. While this one isn't gory, it just lacks the overall entertainment that I feel that I get from a good cozy mystery. Needless to say, that I more than likely will not be going back and reading the second book in this series that I skipped. I just have a really hard time connecting and enjoying this series. The author doesn't write poorly and lord knows I read a lot of worse books than this one, it just isn't something that I can really see myself continuing with. I would like to hear from readers who have read the books in this series and see if they perhaps feel the same way.